Special "Kirtan Sunday Feast" with Madhava and Dravida Prabhus ~ The Toronto Hare Krishna Temple! This upcoming Sunday, we will be surely be recovering from an amazing pre-festival launch at Yonge-Sundas Square. However, there won't be much time to catch our breath! 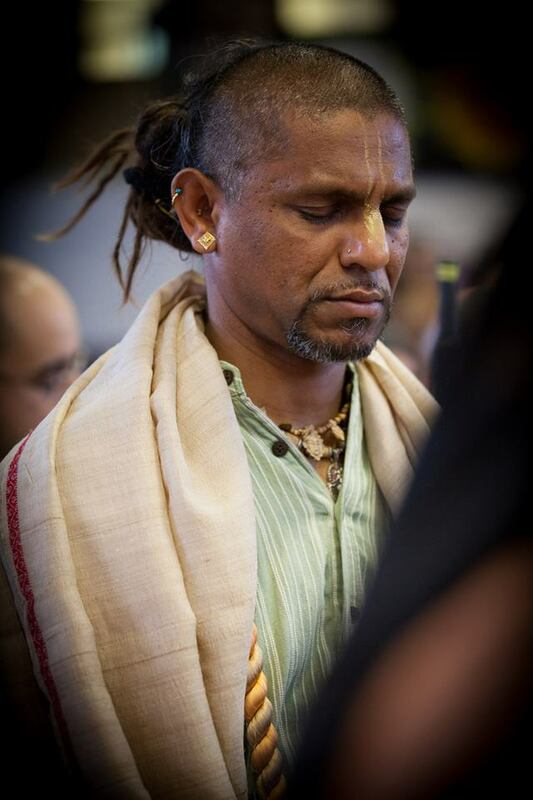 This upcoming Sunday Feast will be a special "Kirtan Sunday Feast" with Madhava and Dravida Prabhus! This will be Madhava's first time attending one of our Sunday Feasts, so please plan on staying back late! The kirtan will go well into the night! Hare Krsna!